The Wombat ADB-USB input converter is now back in stock at the BMOW Store. All pending Wombat back-orders will be shipped during the next few days. 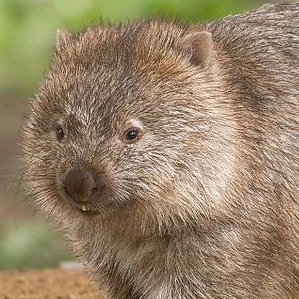 What’s a Wombat? 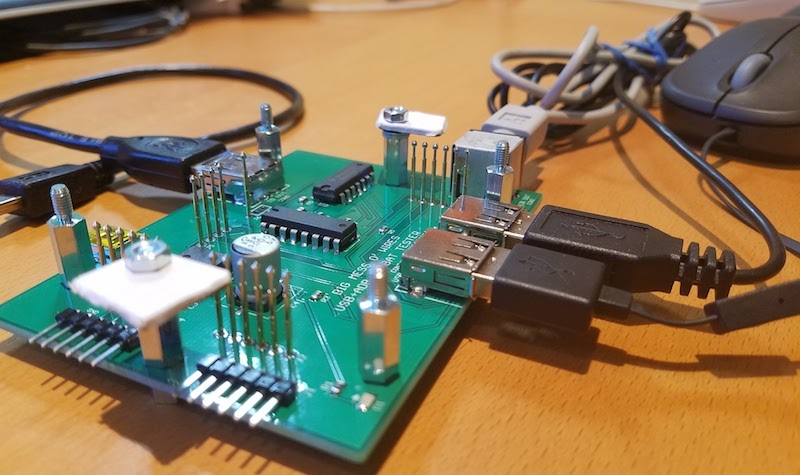 The Wombat is a bidirectional ADB-to-USB and USB-to-ADB converter for keyboards and mice, and was developed by Steve Chamberlin here at Big Mess o’ Wires. For more details, please see the product description page. Here’s an exciting new feature for the ADB-USB Wombat input adapter: custom key mappings. 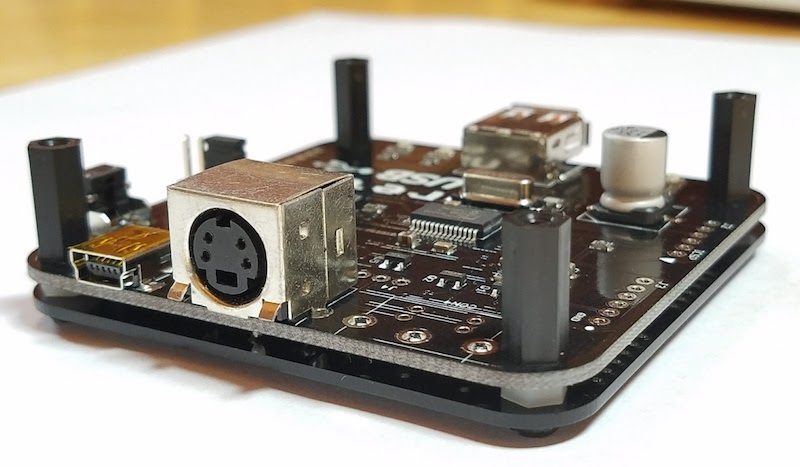 With firmware version 0.3.0 or later, you can replace the built-in mappings between USB and ADB scan codes, and create your own customized key mapping tables. Change which keys behave as Command and Option, reassign the function keys to new purposes, select a different key to behave as ADB power/wake-up, and design other custom key mappings. Go crazy! The code framework to support custom mappings has been in place for a while, and it’s little more than a lookup table of USB to ADB scan code equivalents, and a complementary table of ADB to USB equivalents. There are two separate tables, instead of a single bidirectional table, because there’s not always a one-to-one mapping between USB and ADB scan codes (in mathematical terms it’s not a bijection). Use a custom lookup table, and you’ll get custom key assignments. Because the control, shift, and capslock keys are used to access the Wombat’s help commands, those keys shouldn’t be remapped. A few other mapping details are called out in the editor for ISO keyboards and certain ADB keyboards. Installing the custom key mappings to your Wombat board is very similar to installing new firmware. Copy a file to a USB flash drive, put the flash drive in the Wombat’s USB port, and hold the board’s power key button while it powers on. Complete instructions are on the keymap editor page. If you accidentally mess up the key mappings so badly that you can’t recover, the keymap editor can also be used to download and reinstall the default keymap. The tester has on-board ICs to open and close external loopbacks for the Wombat, so the I/O functions can be verified. It also has a power management IC that can supply the Wombat through two different interfaces, ensuring they both work. 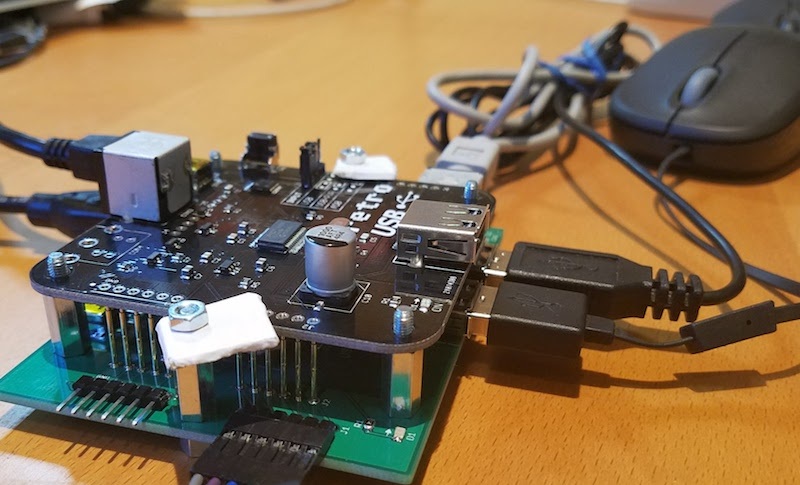 But the real value of the tester is that the power cable, PIC programmer, serial cable, ADB peripherals, and USB peripherals can all be permanently connected to the test board instead of plugged/unplugged from the Wombat for each test iteration. Perfecting the tester took much longer than I’d expected, and it wasn’t until the third generation that it worked reliably enough to be useful. Given the size of that time investment, it’s unclear if I really achieved a net time savings, but I definitely learned a lot. Getting the mechanical aspects working smoothly was a challenge. Thinking about all the ways a Wombat could be broken was also a challenge, since I’m typically thinking about how things work instead of how they don’t work. With those possible failure modes in mind, I then needed to design circuitry to detect each failures. If the test passes, the Wombat’s LEDs blink with a pulsing glow as shown in the video. If the test fails, the LEDs flash a variable number of times to indicate a two digit failure code. This code can be looked up on a reference sheet to see which sub-test failed, and which components are probably at fault. Poor Apple, they never did get on board with having more than a single mouse button. That complicates ADB/USB conversion for USB Wombat. When converting USB to ADB, how should it handle the extra buttons on a USB mouse? What about the mouse wheel? And when converting ADB to USB, how can it generate Windows right-click events from an ADB mouse? USB mouse wheel movements send up/down arrow events to the host. This works remarkably well for open file dialogs and document scrolling. 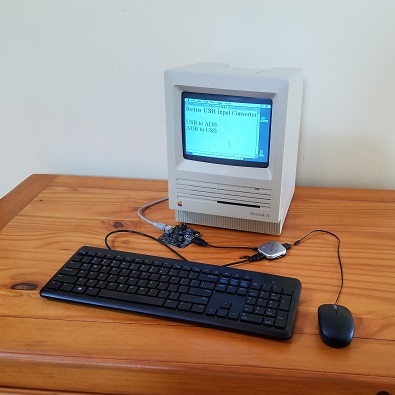 Macintosh mode (default): right click sends control + left click event to the host. Works for context menus in Mac OS 8 and later. NeXT mode: right click sends a true right click event to the host. Toggle between Macintosh and NeXT modes by clicking the USB mouse wheel button (button 3). For ADB-to-USB conversion with firmware 0.2.0, ADB mice and trackballs with more than one button can now use the extra buttons under Windows, OSX, or Linux. Generic multi-button ADB devices using extended Apple mouse protocol should work. I’ve also added vendor specific support for the 4-button Kensington Turbo Mouse 5 model 64210. Other multi-button devices using proprietary protocols may not work. 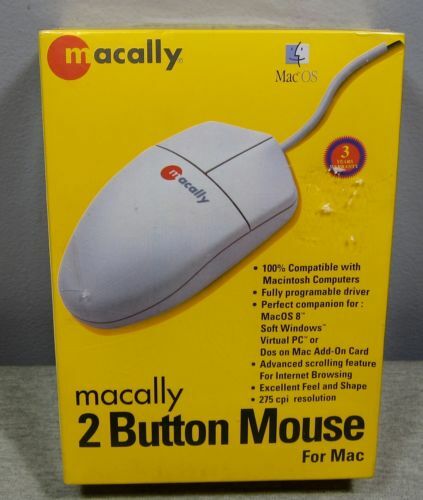 If you’ve got some multi-button ADB mice from MacAlly, Kensington, Logitech, MicoSpeed, Mouse Systems, or others, please give them a try with firmware 0.2.0 and share your results. USB Wombat: What’s in a Name? Oops. 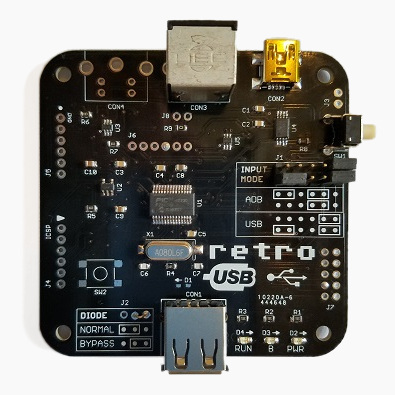 I belatedly discovered there’s already a Nintendo emulator called Retro USB, which means I need a new name for my USB/ADB input converter. After an exhaustive 5-minute naming process, I’ve decided to continue Floppy Emu’s Australian animal theme and call it USB Wombat. The Australians sure do have plenty of oddball animals to choose from. Coming soon: WiFi Wallaby and Video Platypus? 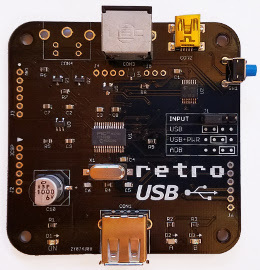 I’ll update the web site and documentation with the new name soon, but the hardware will keep the Retro USB logo until I exhaust the current supply of boards. 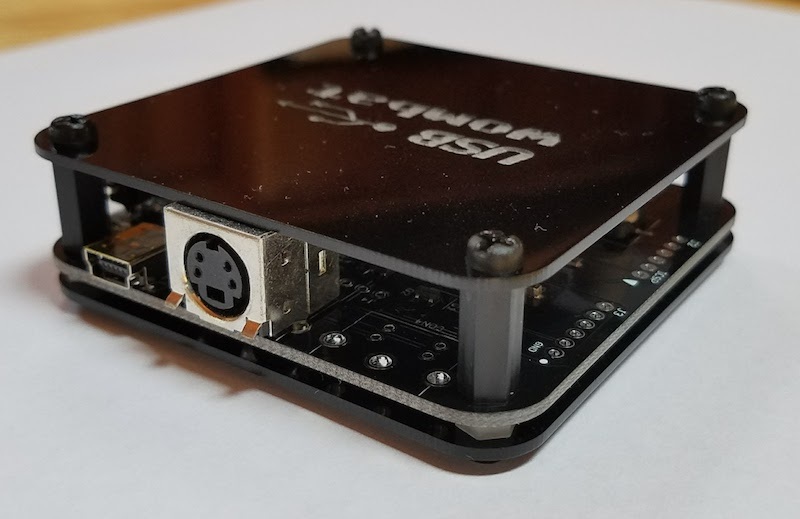 The prototype enclosure will need to be updated too. It’s a time-consuming hassle when I’d rather focus on other work, but if a name change is required, it’s surely better to do it sooner rather than later.